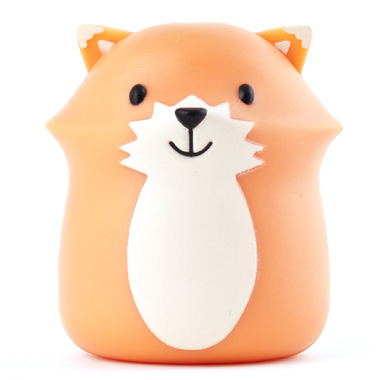 This cute Kikkerland Fox Toothbrush Holder has strong suction cups on it's back that allow it to stick to almost any smooth surface. Great product. Anything that makes a kid excited for brushing their teeth is good to me. Just wish it was a little bit bigger. I bought one of each for my boys and they love them. Very cute and great for travel. Haven't used it for long but seems to work well so far. Sticks to the bathroom mirror and is cute. Very cute and reliable. Sticks perfectly to the tiled wall and holds a little toothbrush without any problem. It brings so much fun into teeth brushing time! Does not stick to the mirror. Falls down everyday. Useless and waste of money. I don't recommend. Cute holder. It did take a me a bit to figure out that you need to place the toothbrush in the top portion so that it closes without you having to touch it. It doesn't snap closed-which I would have liked-seems like it could open easily and then the toothbrush may fall out. Seems easy to clean. It does fit adult toothbrushes too! I love these toothbrush holders. They are easy for little fingers to open and close, the kids love them. The only drawback, the suction cups don't hold onto the wall, they usually fall off. 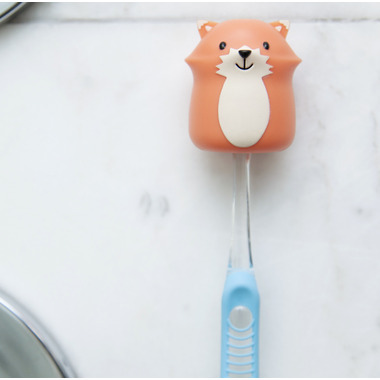 i love these little toothbrush holders, very easy to get the toothbrush in and out! the children love them. they make it very easy to keep brushes in order instead of just throwing them in a drawer. just wish they had more designs to pick from! Cute product, but a little flimsy. Sticks well to our mirror. Toddler is happy with it! Its a little awkward to have to put the brush in the lid/top part and then close it down, but it works none the less. This product was not quite what I expected however it is cute and seems to work okay so far. I am a little concerned as to how long it will last as it doesn't seem incredibly sturdy and can't imagine it will stand up well to a toddler's yanking while opening and closing to remove/replace toothbrush. Cute though and for the price I certainly don't expect it to last forever! Hopefully i can recycle it when necessary!